As seen with the Beth Ditto collection, M.A.C. has developed over time capsules makeup collections performed by Diana Ross, Catherine Deneuve, Lizza Minelli, Iris Apfel, Daphne Guinness, … However, the brand has just announced the most surprising of all: a collection inspired by Marilyn Monroe for October 2012. Marilyn Monroe is the ultimate icon of Hollywood glamor and seduction. Often imitated, never duplicated. She remains the absolute femininity and sensuality. Woman of excellence. World model of beauty, one could see her with the metamorphosis of Carole Bouquet for Chanel, in Dior vampire revival, symbolized by the lines of Scarlett Johansson for Dolce & Gabbana makeup… The film “My Week with Marilyn” with Michelle Williams, nominated for the Oscars, highlights again the mythical Marilyn. The collection should include around thirty pieces ranging from $ 15 to $ 27 and including lipstick, eyeshadow, eyeliner and nail polish. 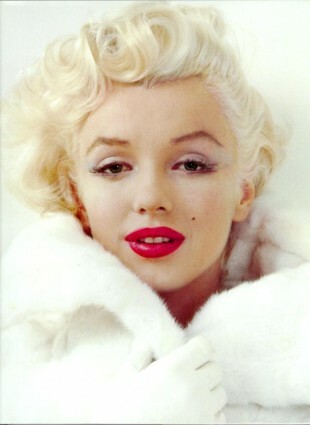 No other details have filtered but we bet for lipstick ruby red as Marilyn loved to wear them. This entry was posted in Make Up. Bookmark the permalink.